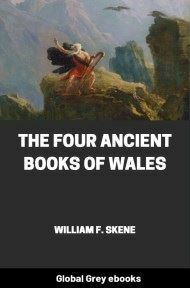 This is William Skene's anthology of dark-age Welsh Bardic poetry. Often cited, but difficult to obtain, this book contains every remaining piece of Bardic poetry known. 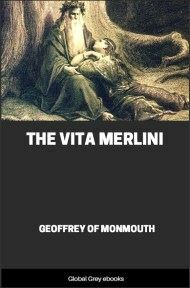 The poems are translated from four manuscripts: the Black Book of Caermarthen, the Red Book of Hergest (which is also the source of the Mabinogion), the Book of Taliessin and the Book of Aneurin, all of which date from the twelfth to the fifteenth centuries C.E. The poems themselves date from much earlier, probably from the sixth century by internal evidence. This corpus is one of the treasures of world literature. It is also the only true source material for the study of Bardic lore, which reputedly preserved the esoteric (and long-lost) beliefs of the Druids. The poems are infused throughout with mystic clarity, strange flashes of wisdom, and insight into humanity and nature. 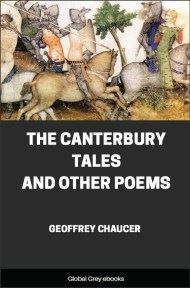 PRIOR to the twelfth century there are not many poems which claim to belong to the literature of that period, besides those attributed to Taliessin, Aneurin, Llywarch Hen, and Myrddin. The Black Book of Caermarthen contains a few attributed to Cuhelyn, Elaeth, and Meigant; and the Red Book of Hergest, one to Tyssilio, son of Brochwael Yscythrog; but the number of such poems is so small, that, if the poems attributed to the bards of the sixth century really belong to that period, there is an interval of several centuries, during which such a literature either never existed or has perished, till the twelfth century, from which period a mass of poetic literature existed in Wales, and has been preserved to us. Of the genuine character of that poetry there seems to be no doubt. In order, then, to estimate rightly the place which the poems attributed to the bards of the sixth century ought truly to occupy in the literature of Wales, it will be necessary to form a just conception of the character of her later literature subsequent to the twelfth century, as well as to grasp the leading facts of her history during the previous centuries in their true aspect. In the eleventh century two events happened which seem to have had a material influence on the literature of Wales. The one was the return of Rhys ap Tewdwr, the true heir to the throne of South Wales, in 1077, and the other was the landing of Gruffyd ap Cynan, the true heir to the throne of North Wales, in 1080. On the death of Edwal, the last of the direct line of the Welsh kings, in 994, leaving an only son in minority; and of Meredith, Prince of South Wales, in 994, leaving an only daughter, the government of both provinces of Wales fell into the hands of usurpers. Cynan, who represented the North Wales line, fled to Ireland in 1041, where he married a daughter of the Danish king of Dublin, and after two fruitless attempts to recover his inheritance by the assistance of the Irish, died in Ireland, leaving a son Gruffyd. 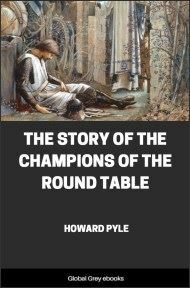 Rhys ap Tewdwr, the representative of the South Wales line, took refuge in Armorica, whence he returned in 1077; and, laying claim to the throne of South Wales, was unanimously elected by the people. Gruffyd ap Cynan invaded Anglesea with a body of troops obtained in Ireland, and having been joined by Rhys ap Tewdwr, their combined forces defeated the army of Trahaearn, then King of Wales, their opponent, at the battle of Carno in 1080, where that prince was slain, and Rhys ap Tewdwr and Gruffyd ap Cynan were confirmed on the thrones of their ancestors. The return of these two princes to Wales--the one from Ireland, where he had been born and must have been familiar with the Irish school of poetry, and the other from Armorica, where he probably became acquainted with Armoric traditions, created a new era in Welsh literature, and a great outburst of literary energy took place, which in North Wales manifested itself in a very remarkable revival of poetry, while in South Wales it took more the shape of prose literature between 1080 and 1400, Stephens enumerates no fewer than seventy-nine bards, many of whose works are preserved, and the Red Book of Hergest, concludes with a body of poetry transcribed apparently by Lewis Glyn Cothi, and attributed to bards, forty-five in number, who lived in a period ranging from 1100 to 1450. One of the earliest of these bards was Cynddelw, commonly called Prydydd Mawr, or the great bard. He was bard to Madog ap Meredyth, Prince of Powis, who died in 1159, and two elegies on his death, by Cynddelw, are contained in the Black Book of Caermarthen. There is every reason to believe that the latter part at least of this MS. was transcribed by him. 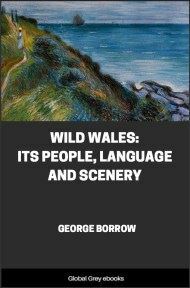 The influence produced upon Welsh literature by the return of Rhys ap Tewdwr to South Wales was of a different description; and it is probably from this period that the introduction into Wales of Armoric traditions may be dated. The appearance of the History of the Britons, by Geoffrey of Monmouth, was the first open manifestation of it. 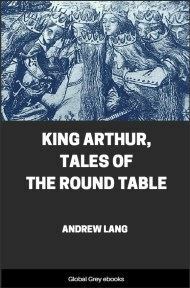 This work, which is written in Latin, at once attained great popularity, and made the fabulous history which it contained, with the romantic tales of Uthyr Pendragon, and Arthur with his Round Table, familiar to the whole world. There is prefixed to this history an epistle-dedicatory to Robert, Earl of Gloucester, son of Henry I. It must therefore have been compiled prior to his death in 1147. In this epistle he states that Walter, Archdeacon of Oxford, a man of great eloquence and learned in foreign histories, gave him a very ancient book in the British tongue (quondam Britannici sermonis librum vetustissimum), giving an account of the Kings of Britain from Brutus to Cadwaladyr, and that he had, it the Archdeacon's request, translated it into Latin; and he concludes his history by committing to his contemporary, Caradoc of Llancarvan, the history of the subsequent Kings in Wales, as he does that of the Kings of the Saxons to William of Malmesbury and Henry of Huntingdon, whom he advises to be silent concerning the Kings of the Britons, since they have not the book written in the British tongue (librum Britannici sermonis), which Walter, Archdeacon of Oxford, brought out of Britanny (Britannia), and which being a true history, he has thus taken care to translate. William of Malmesbury's history is likewise dedicated to Robert, Earl of Gloucester, and is brought down to the 28th year of Henry I., or 1125, in which year it appears to have been written. Henry of Huntingdon's history of the English is dedicated to Alexander, Bishop of Lincoln, and the first part terminates with the death of Henry I. in 1135, in which year it appears to have been written. Geoffrey must therefore have finished his translation, if his account be true, or compiled his work, if it is original, before these dates; but as in his epistle-dedicatory he invites his patron to correct his work, so as to make it more polished, it is possible that there may have been editions prior to the one finally given forth as the completed work, which this epistle and postscript accompanied.